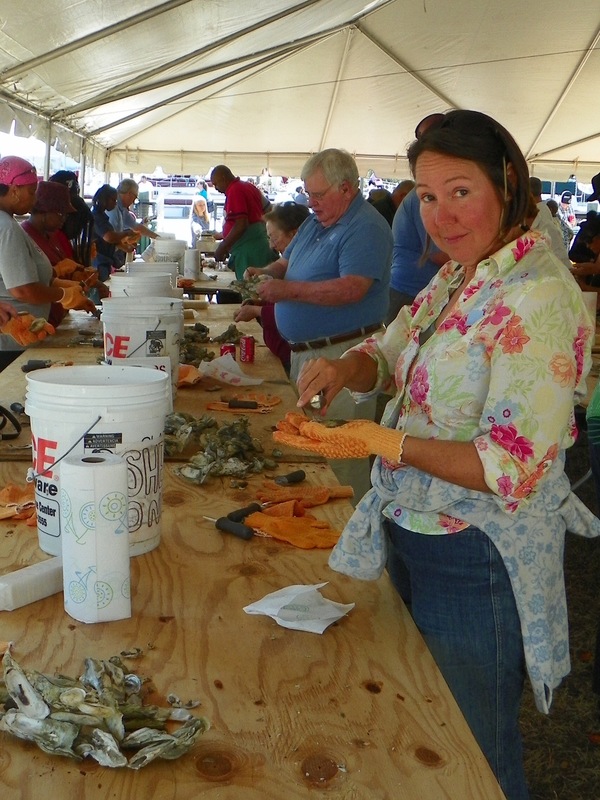 The All-You-Can-Eat oyster roast in Georgetown, SC. Yum! But then, I spend an inordinate amount of MY time obsessing about food generally, so I probably shouldn’t point any fingers. So here, presented in no particular order, are some numbers that I found interesting from the month of October, 2016 or – where so noted – since we left Rockland. 1 – The number of retinal detachments experienced by the crew of s/v sionna. 1 – The number of emergency surgeries experienced by the crew in order to re-attach same. 12 – The number of acts of incredible kindness of a financial nature directed toward us in the wake of our unexpected medical expenses. Thank you once again, dear friends! Uncountable – the good wishes, loving thoughts and healing energies received. Thank you, thank you, thank you! **335 gal. – Water taken on since leaving Rockland. 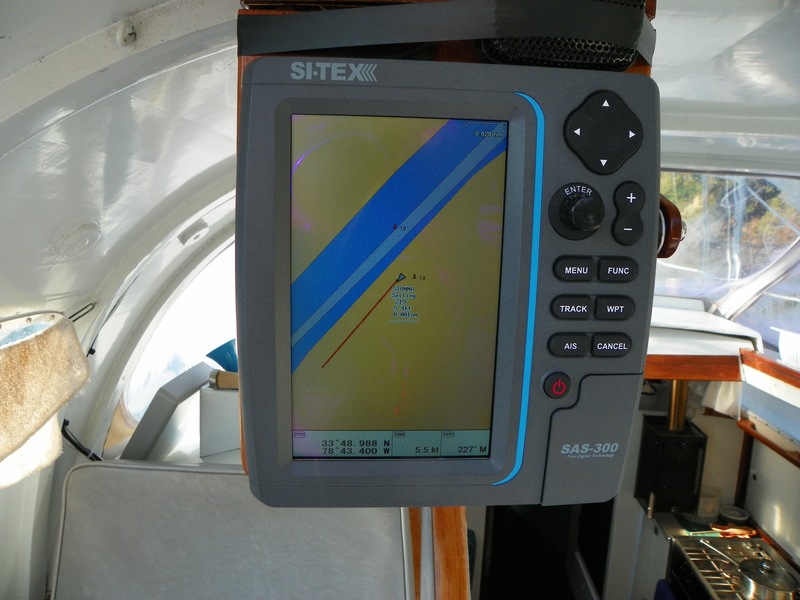 800.7 nm (920.8 sm) – Miles from home in a straight line. 395 nm (454 sm) – Miles to Bradenton, FL (straight line). *Some items aren’t tabulated by month, so I’m using trip totals instead. **That’s over 10 weeks aboard, less the time we spent at a dock. The average American home uses that much water in ONE DAY. ***My eye issue accounts for 16 of those – we usually anchor otherwise. ****Includes food, toiletries, paper products, booz, etc. 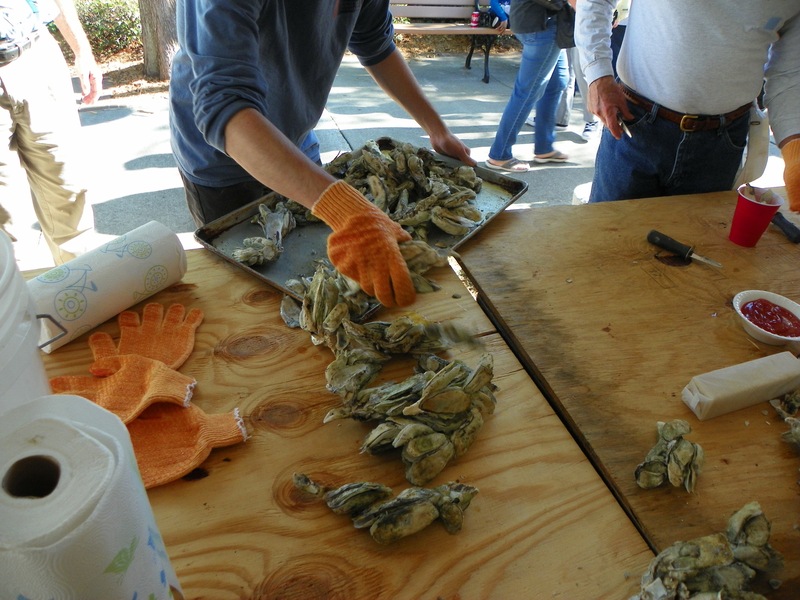 South Carolina “Cluster” oysters. Wicked good! 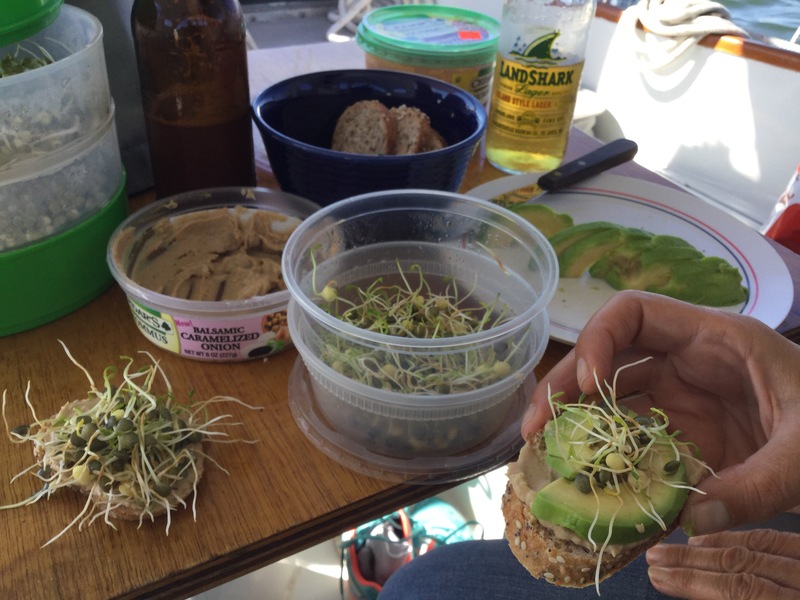 We spend way more money feeding ourselves than we do feeding the boat! Moving on and fixing things. But one thing that is clear is that we’re going to be a lot later in our southerly goals than we ever expected. Thanksgiving in Georgia? Hardly. Christmas in Sarasota? Maybe. 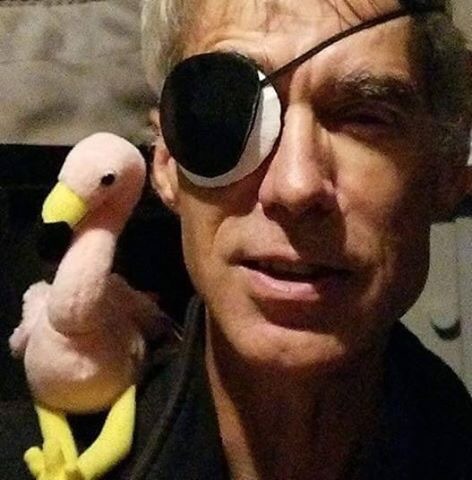 For nearly two weeks we’ve been docked in a slip in Charleston, South Carolina, waiting for appointments and surgery to repair – for the second time — the detached retina that’s been rather plaguing me since October 1st in Ocean City Maryland. Yesterday we finally received the news from the surgeon that everything in the eye looks good, the knitting has commenced, and we’re free to continue our travels. With a few caveats – when we’re ready. So our propeller came loose. 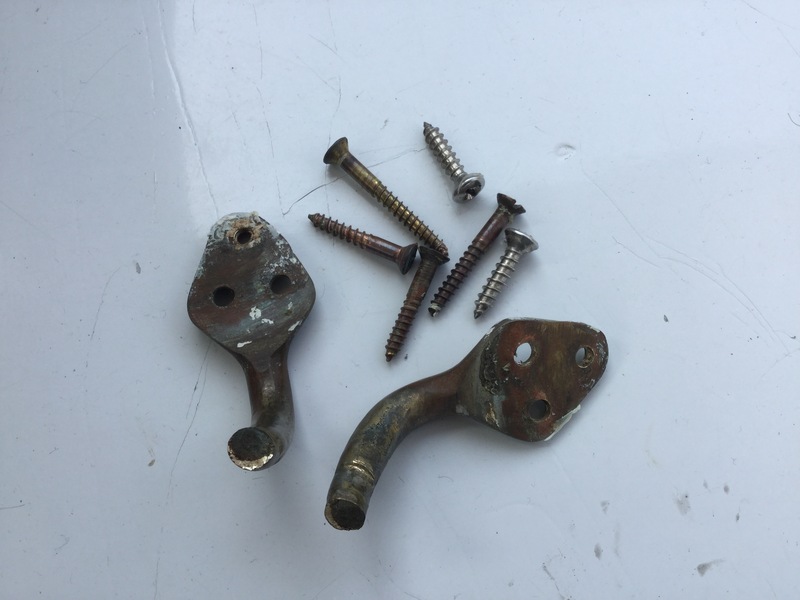 Not all at once, and not to the extent that it, like, fell off, but still, it gives a whole new meaning to the term “having a screw loose”. That’s a big screw. It became a fascinating process of elimination, actually, though I did have some other things on my mind while trying to figure it out. And it was an excellent example of how a string of seemingly unrelated events can all be tied together. Way back in March of 2014 when we bought Sionna, I took the prop off while the boat was still stored in a shed, replaced some seals in the drive system to correct an oil leak, polished and painted the prop, and then put it all together again. At the time I had a hard time getting the prop to go on the shaft properly. 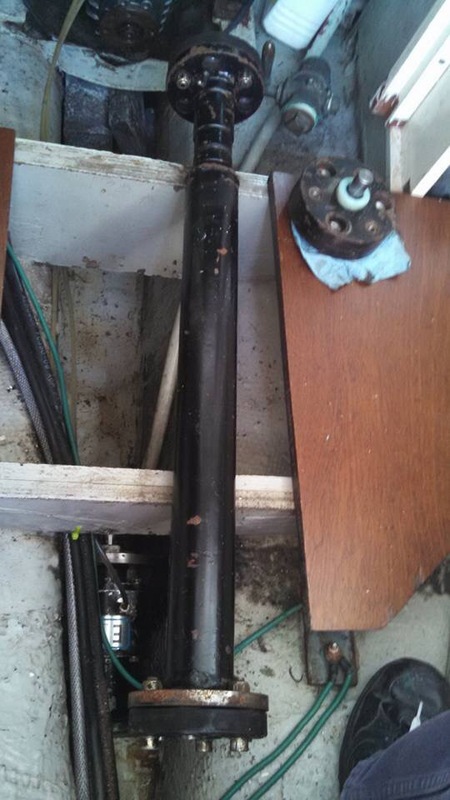 Somehow the key that mates it to the shaft kept getting in the way, making it hard to slide the prop into place. Eventually I managed it though, with much pushing, grunting, and tentative tappings of a soft hammer. 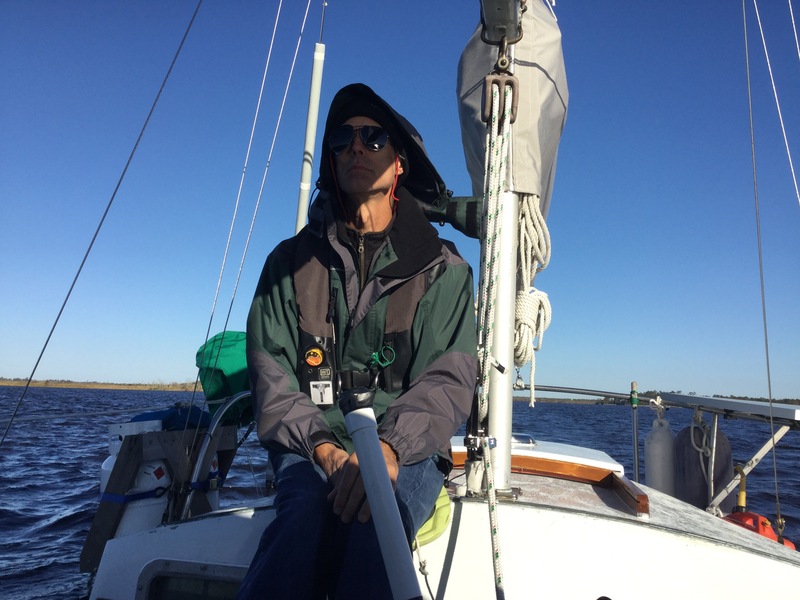 So we continue sailing – very slowly – and dragging that mess for over 500 feet, until we’re past the rocks and can head into the wind and drop sail. Now Nicki can reach down with the boat hook, snag the trap line and cut it (I’m sorry, Mr. Lobsterman, but we are saving our home here!) and free us from the trap. Whew! But not the end of the story. Later that day the wind drops and we start the engine,and I’m immediately aware of a vibration that wasn’t there before. It’s subtle, Nicki doesn’t detect it, but I know. Something’s changed. So here we were, stuck at the dock in warm Charleston, and I’m seeing divers working on various boats around the marina… …a lightbulb comes on. The first diver looks her over and declares that he can’t see anything out of alignment, finds nothing obviously loose. Hmm…. 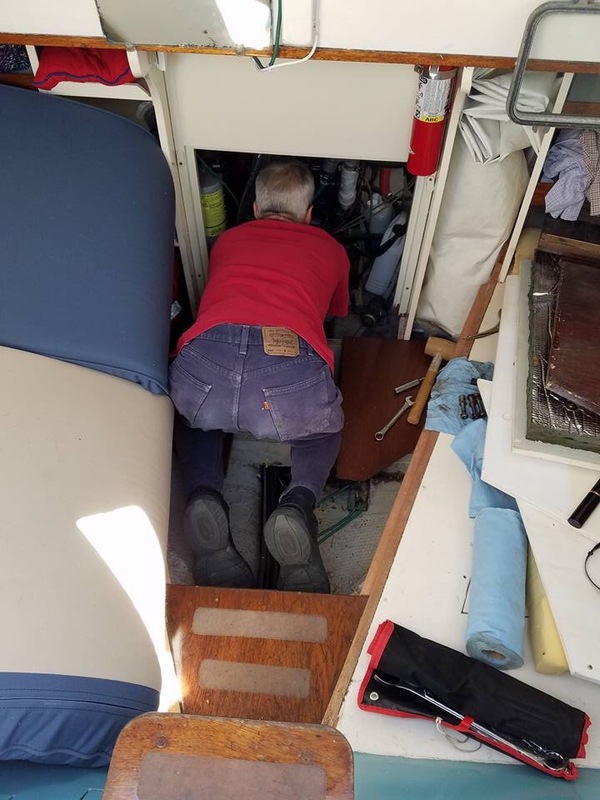 I disassemble the drive train enough to isolate just the prop and its 24” shaft, and from inside the boat, turn the shaft – and hear a distinct “clunk” from the prop outside: “Aha! Diver number two takes all of 5 seconds to confirm what I know. “Yup, your prop’s loose!” And we’ve lucked out in the diver department – this is the fellow who services all those fancy Sport-fisherman boats that we see out here, the ones that are driven by gung-ho but clueless boaters who run aground a lot and beat the tar out of their engines. Our diver knows a lot about keeping props on the boat. 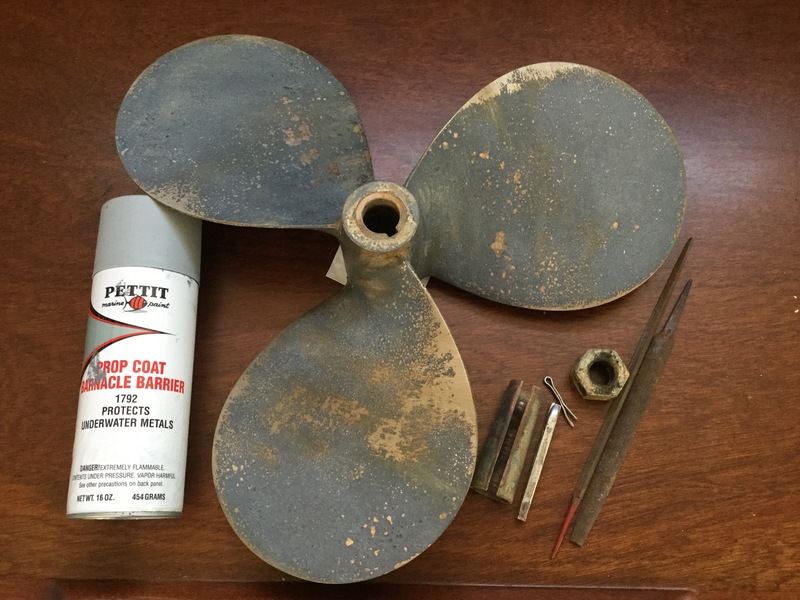 So he hands me the propeller, and I spend an hour cleaning it off, sanding it smooth and re coating it with anti-fouling paint. Later that afternoon he comes back to reinstall it, and immediately says he’s found a problem. The key – which keeps the prop from spinning freely on the shaft – is too long, and is interfering with the nut what holds the whole thing together. Another “Aha! moment. Is it really fixed? Well we’ll see. 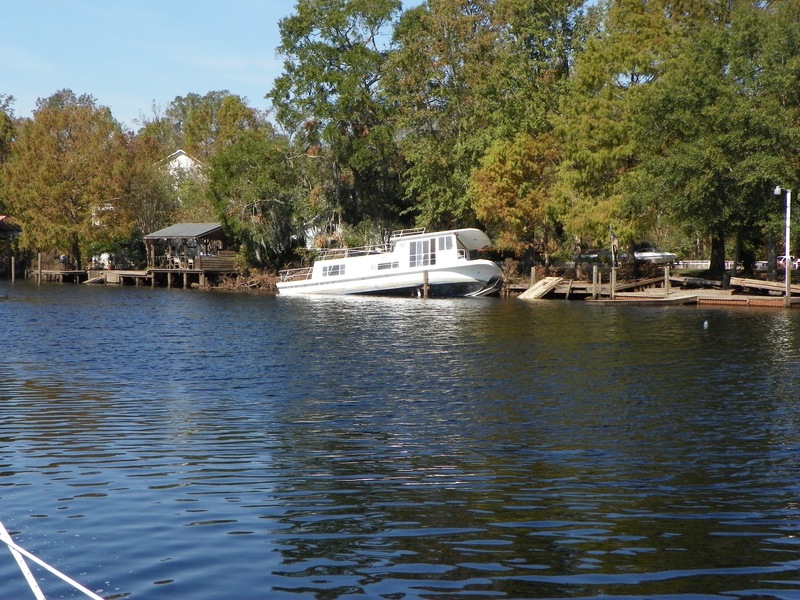 Certainly the test-run here – tied to the dock – reveals no vibration that I can detect, so that’s hopeful. We’ll know more after we’ve put a few more miles under the keel. Fingers crossed and with hope abounding, we’ll be departing Charleston on Saturday, most likely. As we each settle into our own way of celebrating the Thanksgiving holiday, may we on the s/v Sionna extend our hope that your day includes loving family, dear friends, good health and a bountiful symbolic harvest. But let this day also include a moment to acknowledge those who are cold and alone today, those who stand vigil for a better world, and those who cannot fill their bellies today, for whatever reason. They matter too. God bless us, every one. For the last six weeks, I’ve had the unique opportunity to view – I hope temporarily – the world with one foot in the “THEM” camp. I’ve been disabled. It’s a fascinating place to be, actually. Since October 4th, I’ve been functionally blind in my right eye. That means that I can’t see out of it, but I do have some light and shadow sensitivity. And more importantly, I’ve had the expectation that eventually my eye will recover to near-normal function. Maybe not perfect, but I’ll have two good eyes to get around with. But what’s impressed me most about the whole experience is how isolating a disability is – even a very minor disability like partial loss of sight. You become invisible. It’s not overt, and I’m sure it’s not even conscious, but it’s there, like a wet slap across the face. Every. Single. Day. The recovery from a retinal detachment is a longish one, the healing is slow, and for the first week or so you have to keep your face down, nearly horizontal to the floor. You can’t look strangers in the eye as you walk, you can’t really see where you’re walking, in fact, so you need someone with you to lead you – to hold your hand – whenever the route is unfamiliar. Crossing the street is frightening, the sound of traffic threatening. And meeting friendly strangers? Frustrating beyond belief. You see, I’m a social creature, as most humans are. When I meet someone, even passing on the street, I look for eye contact, for connection, and I say hello or good morning or SOMETHING to acknowledge that I exist and they exist and we are members of the same tribe, the same race. We connect, just for an instant. But for a week in October and for the last 4 days, I can’t meet anyone’s eye – and so after the initial introduction, when Nicki explains my condition and I apologize for not looking them in the eye when as we talk, and after they reply with some variation on the theme of “Oh that’s no problem…” – I disappear. No, it’s not deliberate. It’s not dismissive. But how DO you address your comment to someone that can’t see you? How do you bring them into the conversation and hold them there, when they can’t see any of the non-verbal invitations to engage? When body-language is silenced, what do we hear? Silence. How would YOU engage a disabled person in a conversation, and how would you KEEP them engaged? If their disability is visible, will you look them in the eye anyway? Will you meet them on their level? It’s hard. It’s uncomfortable. It’s scary. But can you do it? Can you not worry about “staring” and keep seeing them? I can’t speak for all disabled people, but I can say that I wouldn’t mind being stared at a little, accidentally. It’s better than being invisible. Keith is about to enter hospital again, a second attempt to repair the retinal detachment that’s been plaguing us since October 1st. This time the plan is a more invasive procedure with a higher chance of success but likely a longer recovery time, more discomfort, etc. With luck, we’ll be able to convince Nicki to make another authoring appearance while Keith is resting and sipping rum beverages in the settee. 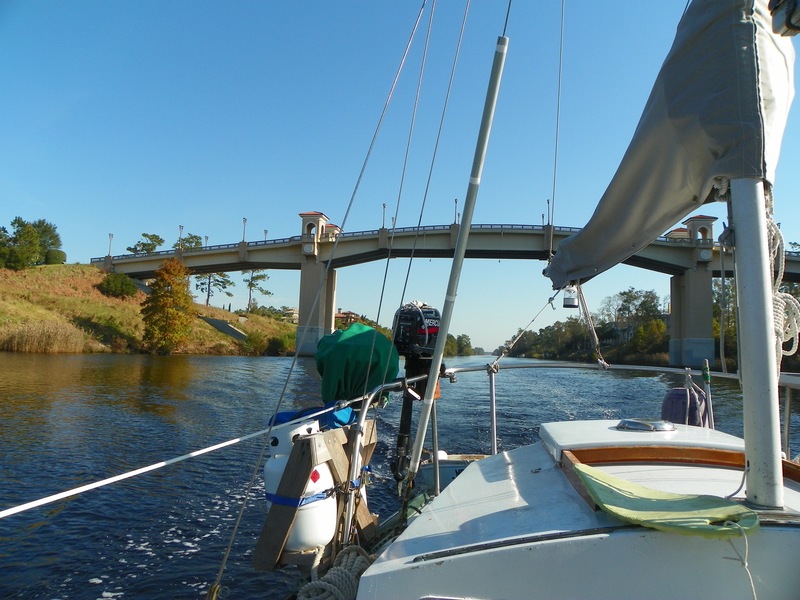 Mean while, it’s sort of warm, and we’re snug in a berth in the Ashley Marina in Charleston, SC. As long as no more boats run into us, we’ll be fine for a bit. Ya’ll take care now, hear? These are the sounds that get your attention, particularly when you’re down inside the boat and can’t see outside very well, and you’re a little nervous about being in this alien land called a “Marina” anyway. There are an awful lot of boats in a very small space, and the currents rip through like they have somewhere very important to go. It can be challenging. And so it was this morning for a vessel named “Five Star” and her skipper. He was aiming for a slip across the alley from ours, and the entry against a 1.5 knot current was requiring more skill and experience than he possessed. Things were not going well. Third time’s the charm, they say. On his third attempt to maneuver for the slip, he’s let the current push him just a little too close to the row of boats along our pier, and Sionna, it seems, is about to be the point of contact. The tip of Sionna’s mizzen boom, to be exact. As he backs (and Nicki and I are standing on deck now, wishing we could help, or teleport him and his 30,000 pound boat into her slip, or SOMETHING…) the elegantly shaped and laboriously finished teak handrail on his starboard side slips under the end of our mizzen boom (which overhangs the stern by nearly 3 feet), the hardware of our boom gouging valleys in his wood and scrapping varnish, until the bronze tang that holds the mizzen sheet blocks gives way with a resounding “Bang!” and he’s free again. Finally he settles into a berth – though not the one intended. 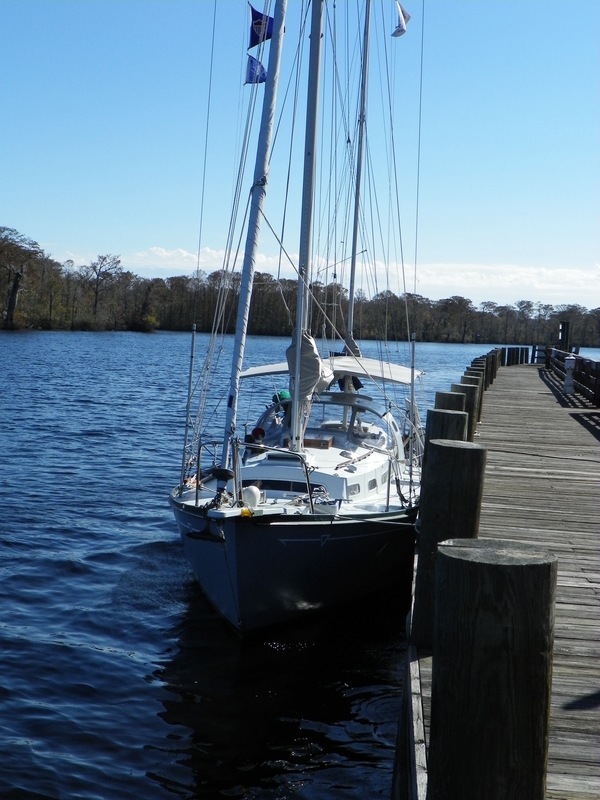 He’s laying against a concrete pier and the stern of another boat (with padded fenders out, this time), and he’s waiting for the current to go slack – which is what he should have done in the first place. He’s heard that several times in the last half-hour. Current is King. 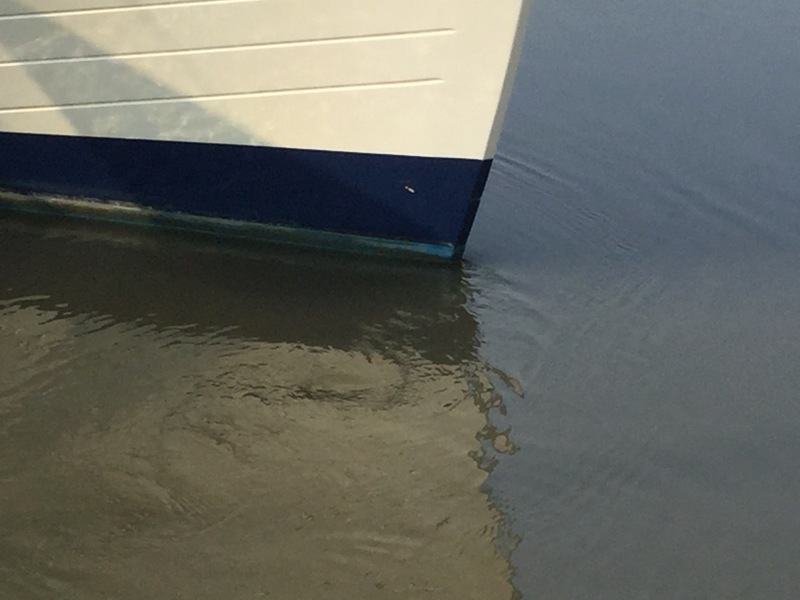 You can see the ripples coming off the bow. Doesn’t look that significant, but it’s a force to be reckoned with, believe me! Just for a review, “Current” is the horizontal movement of water, from whatever cause. A flowing river, a rising or receeding tide, a prolonged wind from one direction in shallow places like the Chesapeake Bay. All produce currents of varying strengths, and all can raise hob with the maneuvering of a boat in close quarters. You can’t fight it unless you have room to maneuver, so lacking room, the answer is always to wait. The current will ease when the tide changes. So waiting is what the “Five Star” is doing now. Tied conspicuously in the channel against a boat and a post, looking for all the world like a docking attempt gone bad. Which of course it was. How embarrassing. No holier-than-thou here, however. I’ve been in a couple embarrassing places myself, and I’ll be there again – boats teach humility. But you know, there is a silver lining, even to boat damage. The 53-year-old bronze bail that snapped saved our wooden boom from anything more than a little crack, easily repaired with a bit of epoxy. And the reason that bail broke was because it was already cracked about 90% through, fatigued from a half-century of normal use. Rather than failing when we were hard pressed at sea some dark night, it broke now, when we have the leisure to fix it. The broken bail. The shiny part of the break is all that was still holding this piece of bronze together. The dark surface is the crack. There’s usually some bit of good that comes from something bad. You just have to be open to seeing it. So why don’t we write more often? After all, the success of a blog – I’ve been told – is determined largely by the output of the writer. Blog advisors (yeah, that’s a thing) will tell you that a blog should be posting new content every day. Every. Single. Day. Which probably has something to do with the Sesame Street effect. If you’re not familiar with it, it seems that a criticism sometimes leveled at the long-running children’s program “Sesame Street” was that its format of short (30 to 60 second) skits and videos (which were designed to engage and hold the childs attention most effectively) actually produced an entire generation of adults with the attention span of a Cocker Spanial. In the blog world, that means if you don’t publish every day, your readers forget you exist and wander off to something more interesting, like the American election circus or a MacDonalds commercial. So if you, gentle reader, feel the need to do something more scintillating, like eating a Big Mac, I can hardly blame you: It’s Big Bird’s fault. So why don’t we write every day, like a good blogger should? Because we’re tired. We’ve spent the last four days driving our home along a sometimes narrow, occasionally confusing and not infrequently shallow canal that is never the same two days in a row. Sand and mud move and flow, marks are moved, barges sweep the banks, and houses and docks are added every day. 8 hours of that and you’re ready for a stiff drink and a long sleep, let me tell you. So we end up going to sleep about 8:30pm, wake around 6:00am, get underway by 8am, and once the anchor is down, it’s supper, secure the boat for the night and repeat. Reds to the right – or left. Huh? 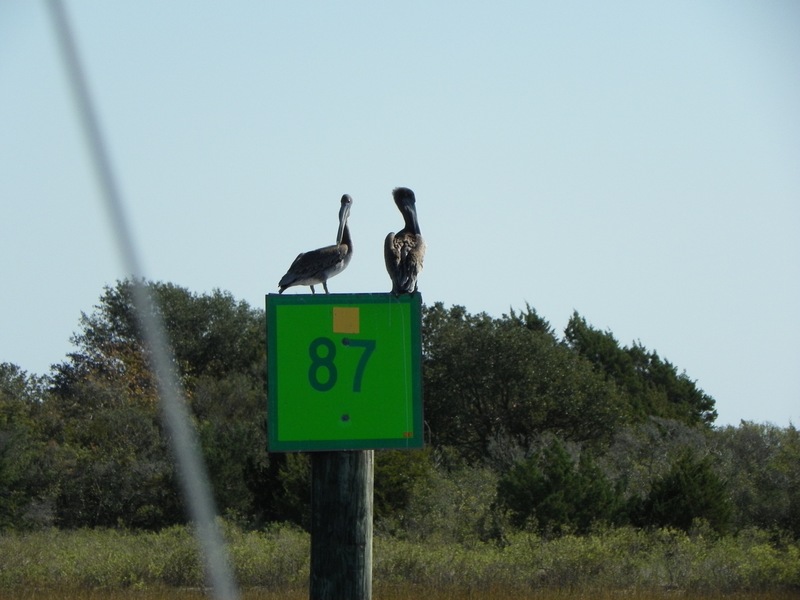 I assumed – when we were planning this trip – that the actual travel days on the ICW (or “The Ditch”, as it’s called out here) would be basically boring. Follow the markers, keep the red ones on the right and the green ones on the left, and try to stay awake. I was wrong. First off, I only have one eye working still. Since we’re moving south, the morning sun is off my left side, which is often pretty blinding, what with the reflection off the water and all. Without. Right eye to fill in, I find that it’s sometimes a it of a challenge to see where we’re going. That’s tiring. Second, the markers are sometimes confusing, and rarely they are actually wrong. that’s due to something called “Shoaling”. 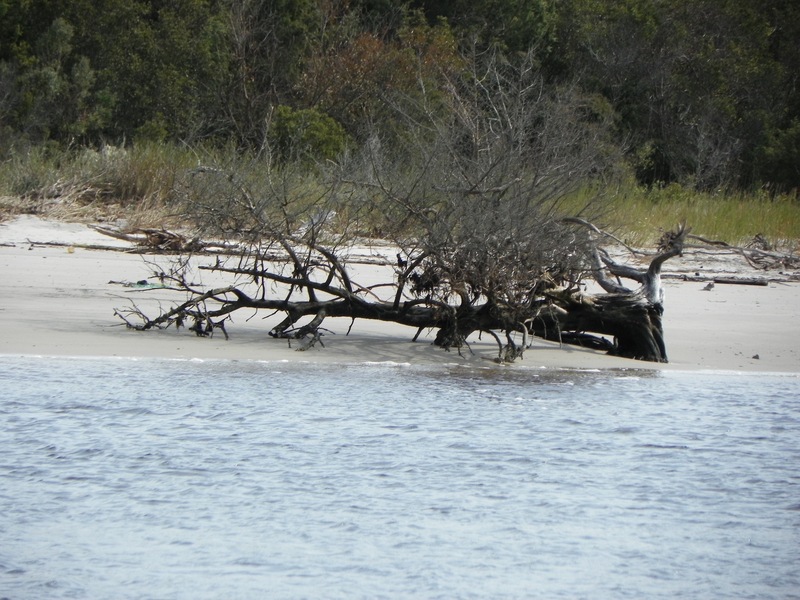 Shoaling is the movement of mud and sand in the channel, when that loose material from, say, a hurricane, decides to build up right where last week there was a clear channel. Yes, the Coast Guard is out here putting things back to rights, but that takes time, and the shoals change every day. It can be pretty tense working your way through some of those changeable areas, and more than once we’ve heard the depth alarm go off, requiring a mad application of reverse and much hissing of “where’d the water go? !” before things are resolved. At the Shallotte Inlet in North Carolina (mile 330) we actually had to ignore the markers and navigate using advice we received from friends, plus an image Nicki located on the Army Corp of Engineer’s website of the depths – and we still came within 6 inches of grounding before we felt our way through. Whew! Sionna going 5.4 knots over dry ground. Cool trick! Oh, and technology? 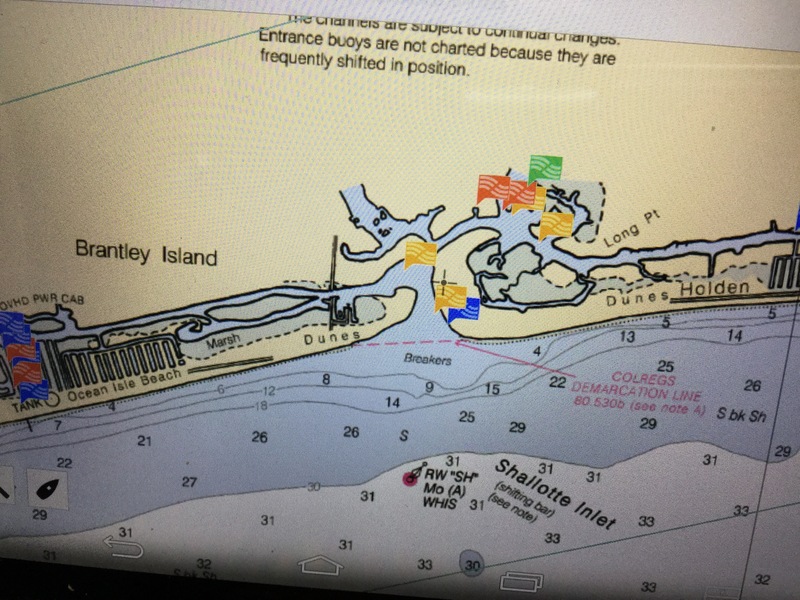 Not 100% That’s a picture of the screen on our chart plotter – a nifty little device that projects the GPS position of our boat onto a digital chart. Hmm… we seem to be sailing over dry land… And at over 6 mph! This is why you watch the marks first, not the screen. And finally there’s the trash. 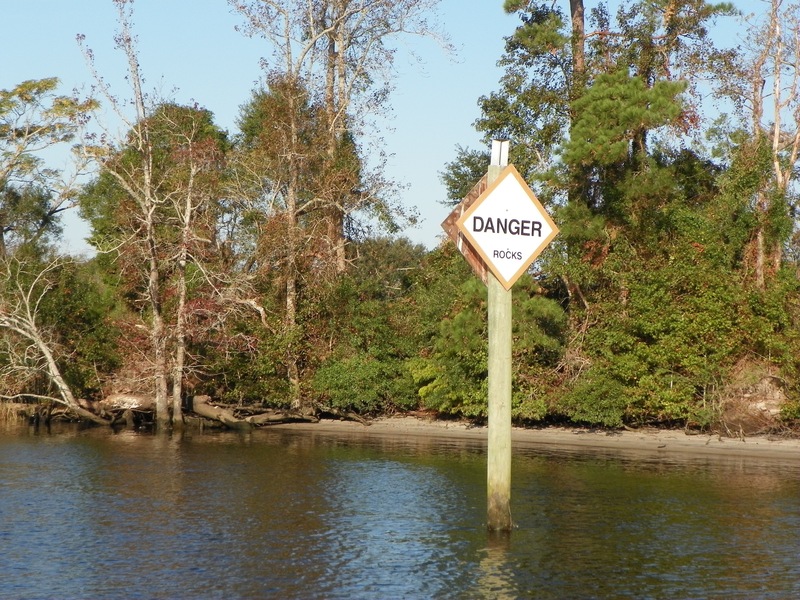 Trees, sticks, floating garbage, sunken boats… They’re all out there, and they’re not fun to meet up-close and personal. 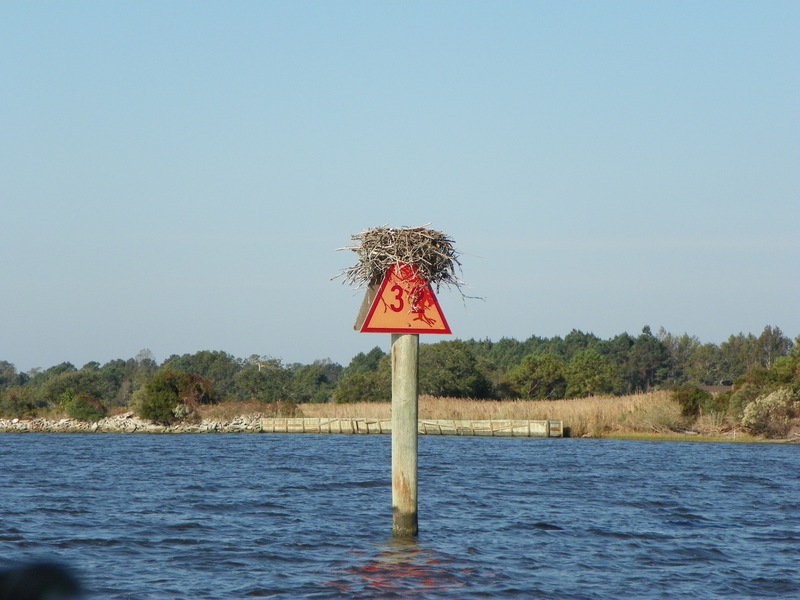 We’re constantly looking for such things, in addition to other boats, barges and markers, and the combined effect is that we get to the end of a day exhausted and ready for a nice rum beverage, a warm meal, and an early bedtime. So that’s why we don’t write every day. We’re loving the journey, the experience and the adventure. But sometimes, we just don’t have the energy to get creative at the keyboard. We hope you understand. But you can always watch the election news if you need more stimulation! 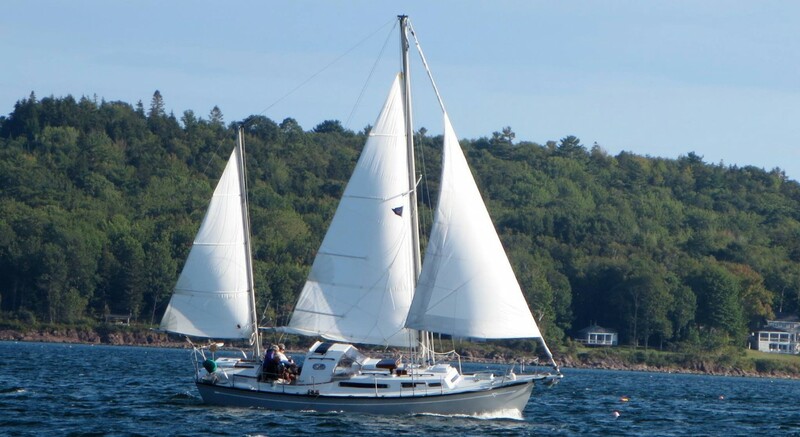 Categories: Attitude, Cruising, Cruising Philosophy, Equipment, ICW | Permalink.